Hey everyone! Hope you’re keeping lovely and toasty on this freeeeeezing day! If you haven’t yet seen, I am sharing 1 smoothie recipe every day of 2019! 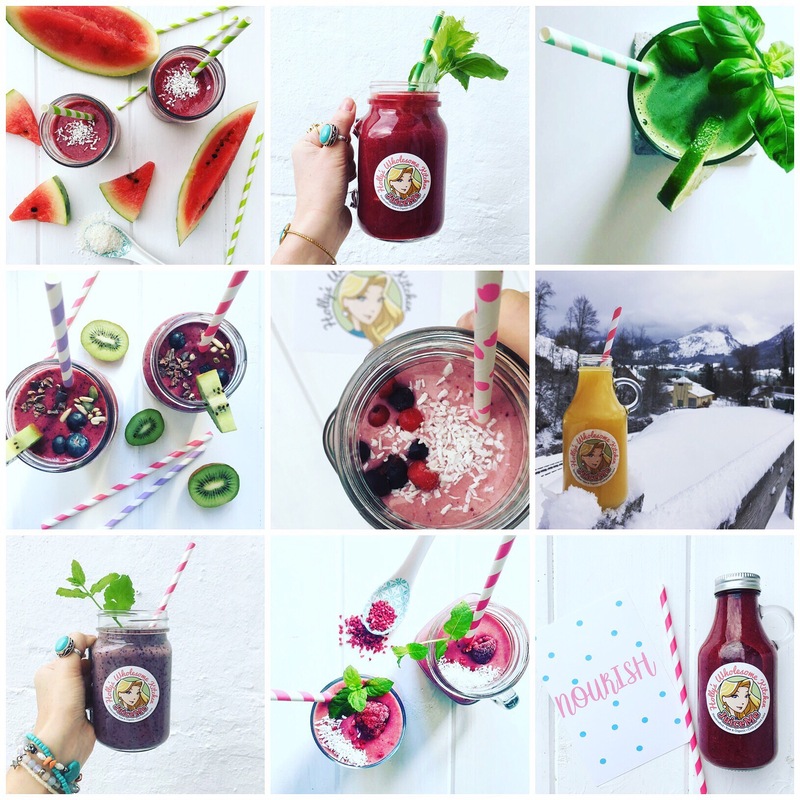 That’s a whole lotta smoothie love and on the last day of every month, I’ll be sharing my Top (fave) 9! 14/365: Just Beet It Juice…..The perfect post-workout nourishment. Ooo yeah baby! Recipe: 3 x medium beets, 1 x head of celery, 3 x carrots, 3 x apples. Juice, sieve & slurp! Hey everyone! This is a total belter of you’ve had a good session at the gym! Has anyone else been loving the gym? I danced for many years growing up so I think muscle memory kicks-in whenever I exercise and I seem to tone-up really quickly. I’m doing lots of weights at the moment, it feels really good to be strengthening my core and allowing my body to naturally find its groove. If you are naturally a hungry bunny like me, then this post-workout blend will get to work immediately to replenish lost electrolytes, refuel sore muscles and assist in flushing lactic acid from the body. Recipe: 1 x cup of frozen raspberries, 1 x ripe banana, 1 x pot of @coconutcollab raspberry yogurt, 3 x tbsp of desiccated coconut, 50g of almonds, 300ml of coconut water. Blend. Serve. Enjoy. Repeat. 2/365: When your juices make an appearance in Austria! Admittedly, I made this blend to keep the old energy up whilst trekking for 5 hours today but I couldn’t resist taking its pic with the magnificent mountains as the backdrop!!! This is my Paradise Found Juice (the second of my daily concoctions for 2019), the recipe for which you will find in January’s @veganfoodandliving magazine! Still pinching myself! The best way to serve my juice is in the snow, of course!!! You will need: 1 head of celery, 5 medium carrots, 2 medium oranges, 1 inch of fresh ginger…juice and you’re away! 3/365: My Blueberry Banger is one of my faves and I added an extra bit of organic pea protein to make it a little bit more substantial 💪💪💪 Gotta keep the energy levels up whilst walking all the kms! I’ve also been trying to drink more water recently (dehydration can cause so many issues and I always feel so much better when I’m topped-up)…..
27/365: Raspberry, Rose & Almond Smoothie. I hope you like my quick lowdown! Keep your eyes peeled for my February recipes over on my Instagram!